Lisa Inzerillo represents the residents of the Town of Smithtown as a member of the Smithtown Board. She was elected to the position of Town Council in 2015. Councilwoman Lisa Inzerillo is committed to serving the residents in the Smithtown Community. Councilwoman Inzerillo is committed to our community and dedicated to progress for her family and yours. She’ll focus on common sense initiatives to deliver efficient services, save tax dollars, and protect our suburban quality of life. Residing in Kings Park with her husband, an elementary school principal, and their two daughters. Councilwoman Inzerillo looks forward to achieving her goal to make Smithtown the best it can be for the residents of Smithtown. Councilwoman Inzerillo works with our IT Department to help make www.smithtownny.gov more user friendly to the residents of Smithtown. Mrs. Inzerillo continues to work with our community groups such as Chambers, our Civics, and our Schools to keep an open dialogue of all issues with full transparency. Councilwoman Inzerillo welcomes tours of our municipalities to Girl Scouts, Boy Scouts, and Our Schools. Communication with Smithtown Residents is vital to keep our town safe and beautiful. Councilwoman Lisa Inzerillo responds to phone calls of her constituents in a timely fashion. She addresses all concerns, and for those that need to be visually analyzed, she has met with the residents to understand how their concern can be resolved. Councilwoman Inzerillo then works with our Department Heads to bring all issues to resolution. Councilwoman Inzerillo continues to assist with resident concerns on a weekly basis through Social Media outlets. Responding to resident concerns is her priority and taking Q & A’s on Social media has greatly helped her constituents when they needed it most. Our drinking water has always been a concern for Councilwoman Inzerillo. SCWA’s newest buildings is in Hauppauge, NY and you can schedule a tour of the facility yourself! Learning where the aquifers come from; Will we run out of water someday? What can we do to protect our groundwater? What is added to the water supply? Who tests my water? They will answer all of your questions. Public education is an essential component of maintaining the quality of our water resources. The tour guides explain the water cycle and protection of our drinking water. They also have an educational outreach program for students in 4th through 8th grade! Great experience! The Councilwoman strongly suggests to call for a tour! Staying educated about our drinking water, and staying involved and visiting the SCWA, along with attending Water Symposium’s has been high in the Councilwoman's priorities. Since Councilwoman Lisa Inzerillo received the information from the Third Track Coalition 18 months ago, she immediately understood how important this project will be for Long Island commuting working families. Long Island is where Mrs. Inzerillo chose to raise her family and it is so important to look toward the future for next generations of our families living here on Long Island. Click here to learn more about the Third Track Project , and about how this project will get our families where they want to go safely, and timely and positively impact their quality of life. New parking garages; renovated train stations; new signal lights and so much more. Councilwoman Inzerillo is proud to be a supporter and excited to see this project moving forward! Councilwoman Inzerillo has collaborated with our Town Attorney’s and Public Safety to create a Policy & Procedure Manuel for the Smithtown Animal Shelter in March 2017. She has created and built the Town of Smithtown Animal Shelter Website to better serve our shelter pets by reaching more people across Long Island and beyond. Councilwoman Inzerillo is currently developing more opportunities for the government in the Town of Smithtown to be more easily available for our constituents, and to have the residents of the Town of Smithtown able to communicate with our departments and be more transparent through the technology of the Internet, applications and software. Kings Park Road – Town of Kings Park & Commack – Councilwoman Lisa Inzerillo met with residents living on Kings Park Road concerned for their safety and quality of life to develop a plan for road paving, sidewalk repair and traffic light renovation. Kings Park Road received a full overhaul and our Highway department has now made it a safe road for the residents and the schools along the Kings Park Road. After Years of safety concerns, Councilwoman Inzerillo collaborated with Kings Park RJO Intermediate School Principal Rudy Massimo, Kings Park Superintendent Timothy Eagan, St. Joseph’s Church and our Traffic Department to create Old Dock Road safer by adding a cross walk for the RJO School beginning September 2017. This cross walk will serve as a safe measure for those who cross the street to and from RJO and St. Joseph’s, as well as to and from cars parked on the East side of Old Dock Road. Proudtown.com – Councilwoman Inzerillo collaborated with the Proudtown organization to create video tours and to bring together our municipalities and professionals who share a common interest in the continued improvement of the Greater Smithtown Area. Proudtown has helped make Councilwoman Inzerillo's vision for Smithtown a reality by sharing the legacy of Smithtown, welcome new residents and promote our community and small businesses so they can continue to grow! 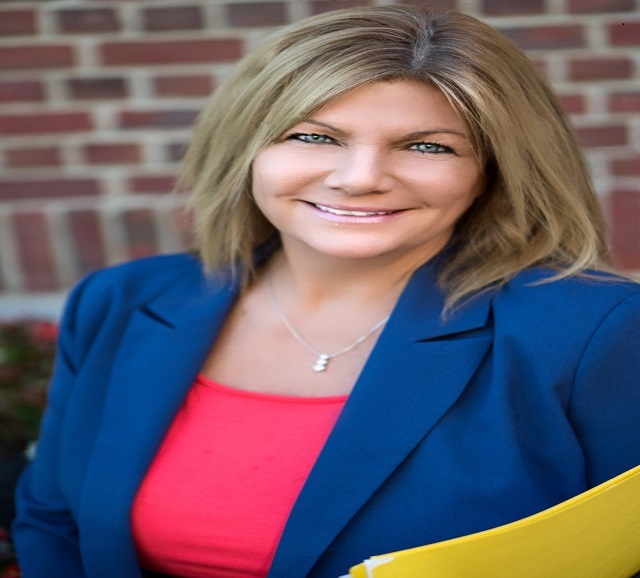 Councilwoman Inzerillo has collaborated with the Town Attorney’s office and Public Safety to create a Social Media Policy for Town of Smithtown Government and all its municipalities. • NYS has determined that TOS has among the lowest fiscal stress of any towns on LI. • Lowered tax in 2017 and complied with tax cap in 2014-2016 and for 2016 and 2017 approved a structurally balanced budget. • Allowed Commack Ambulance to bill insurance companies for services saving over $300K in tax levy. • One of only two towns on LI to receive a $250K energy grant from NYS. • Improved cell tower communications by installing a cell tower along Nissequogue River for convenience of residents and most importantly safety by improving communications with emergency services agencies. • Replace 22.5 miles of roadway in 2016 and authorized $1,000,000 for driveway aprons, curbing and sidewalks. • Approved in the 2017 budget, and an establishment of a $2 million reserve fund for sewer installation and another $2 million for land acquisition. • In 2015 permitted businesses in the Hauppauge Industrial Park to build additions onto buildings allowing for an increase in overall height to 35 feet in the park and 62 feet on Motor Parkway.